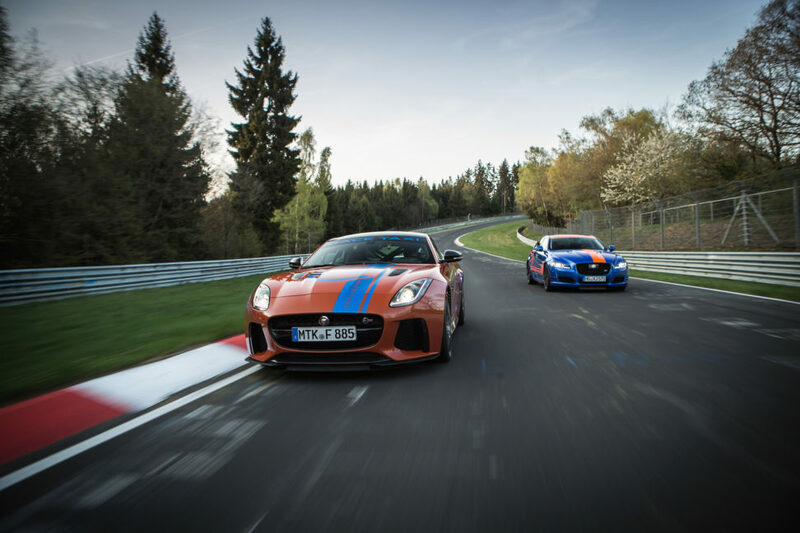 The next time you are fortunate enough visit the famed Nürburgring Nordschleife race track in Germany, you will be able to hail a Jaguar F-TYPE SVR and XJR575. 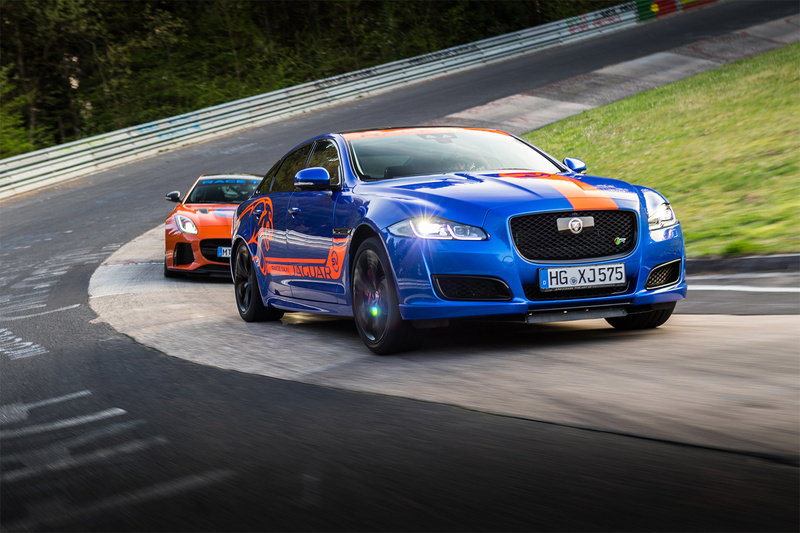 The Jaguar Race Taxi experience gives passengers a full-throttle hot lap around the legendary 20.83 km 73 turn circuit. 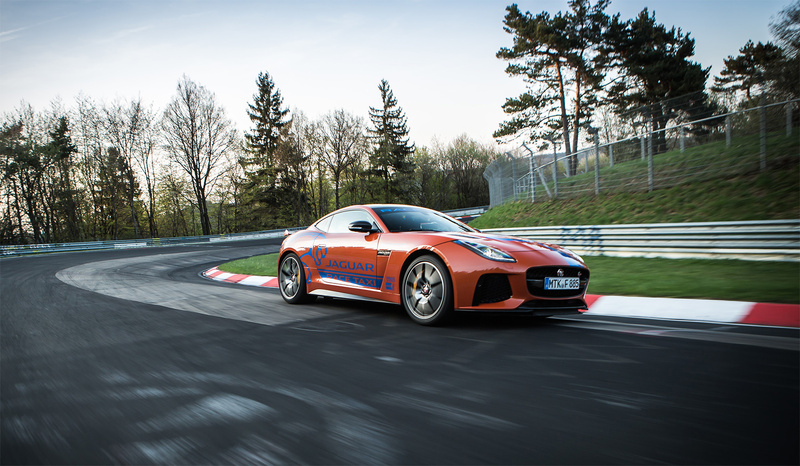 The Jaguar Race Taxi experience in the F-TYPE SVR or XJR575 costs €199 (approximately $344 CAD), lasts for 30 minutes, includes a safety briefing, one lap of the Nürburgring Nordschleife, and a video recording of their lap. The F-TYPE SVR can take one passenger and the XJR575 can take up to three passengers, each of whom must be 18 years or older. Automotive engineers estimate that one lap of the 20 km Nordschleife can stress a vehicle’s chassis and drivetrain as much as the equivalent of driving 200 km on a public road. The F-TYPE SVR has been developed by Jaguar Land Rover Special Vehicle Operations as a 200 mph (321 km/h) all-weather supercar and is the pinnacle of the F-TYPE range. Powered by a 5.0-litre supercharged V8 engine with 567 hp and 516 lb-ft of torque. 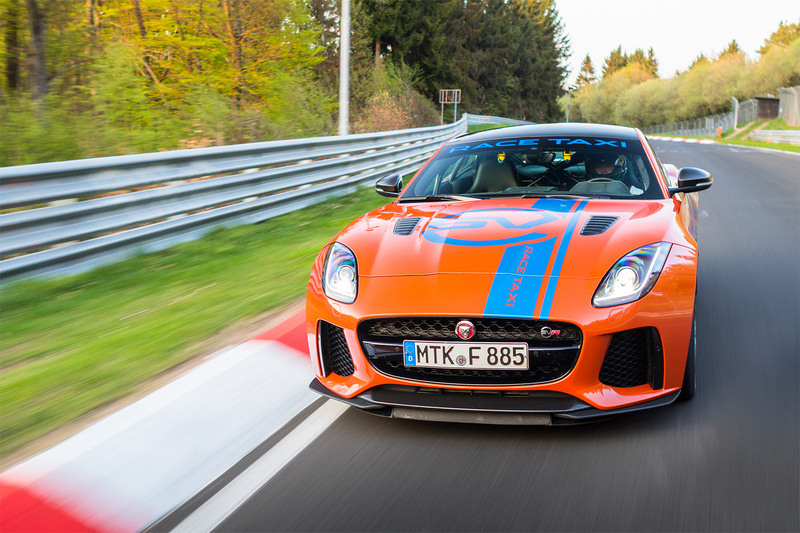 Benefiting from an enhanced chassis and driveline and active aerodynamics, the all-wheel drive F-TYPE SVR delivers supercar performance in all conditions and can accelerate from 0-100 km/h in just 3.7 seconds (0-60 mph in 3.5 seconds). 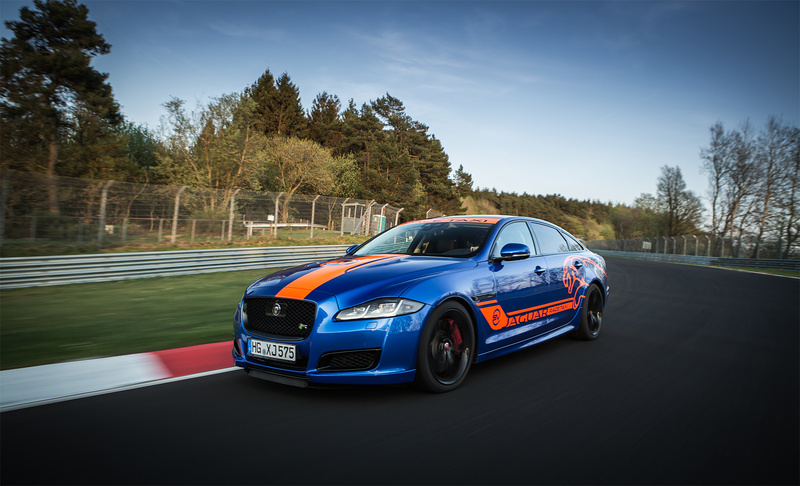 The Jaguar XJR575 is the fastest and most powerful XJ ever made in the cars 50-year history. Also powered by a 5.0-litre supercharged V8 developing the same power and torque as the F-TYPE SVR, it can accelerate from 0-100 km/h in just 4.4 seconds (0-60 in 4.2 seconds) and reach an electronically-limited top speed of 300 km/h (186 mph). 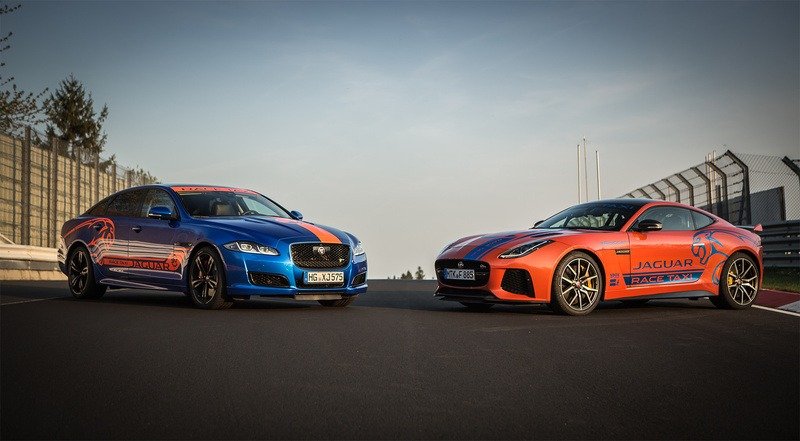 Passenger laps in the two supercharged Jaguars are available until November 2018.